According to Katherine Spiers and Erin Mosbaugh, food writers and podcasters behind How it Got in Your Mouth, LA’s food scene is the ‘best in America’ right now. The weekly podcast is more than a talk show; it’s cultural anthropology of food made accessible for you and me. Each episode, the hilarious duo focuses on a different dish, reveals its history and where to find the best iteration of it in LA. Cheers to that. So, where do these ladies go to clean out the week’s cobwebs? 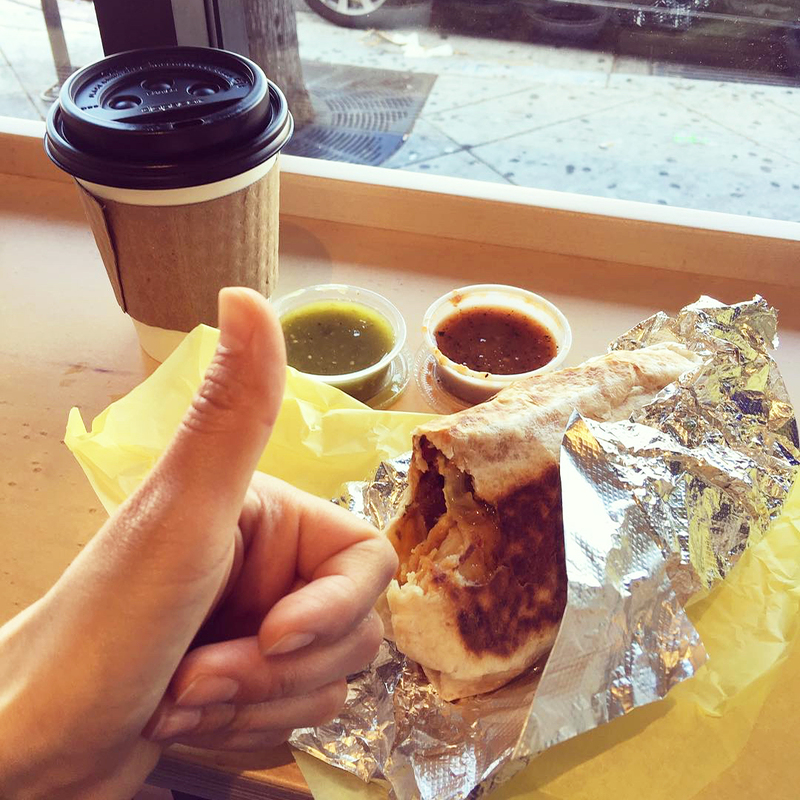 Erin, a pork and taco fanatic, believes in power move brunches like pho from Golden Deli or a Guerilla Taco paired with a Blue Bottle Coffee. Katherine finds her morning delight by devouring Vietnamese rolls from Thanh My Restaurant. 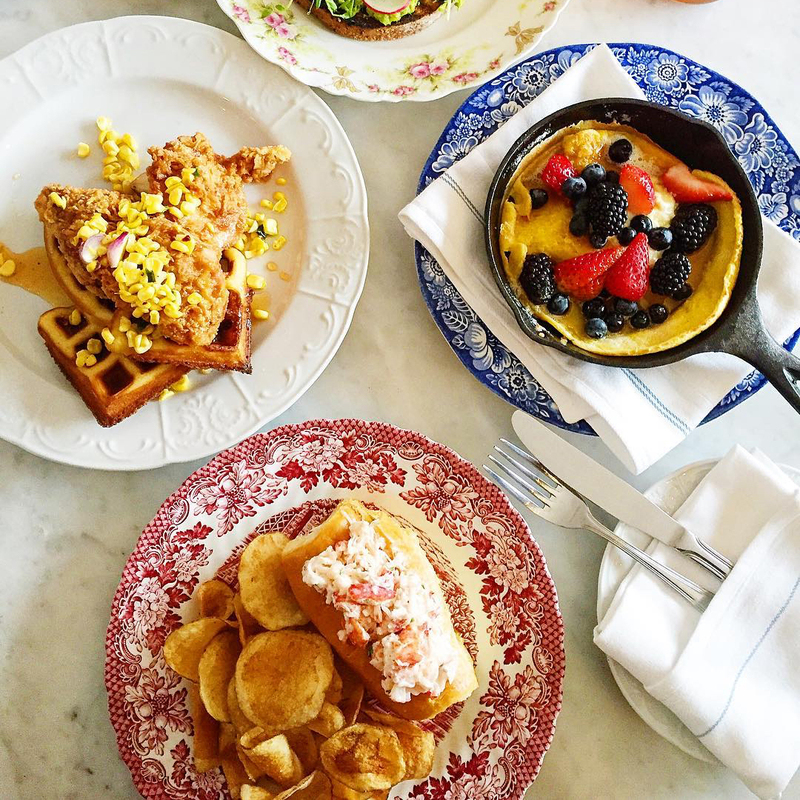 While the two master brunchers are clearly adventurous, both ladies also love a classic American brunch, and have recommendations aplenty for us. Katherine Spiers: I don’t often eat baked goods, so when I do, I like for them to be the best. 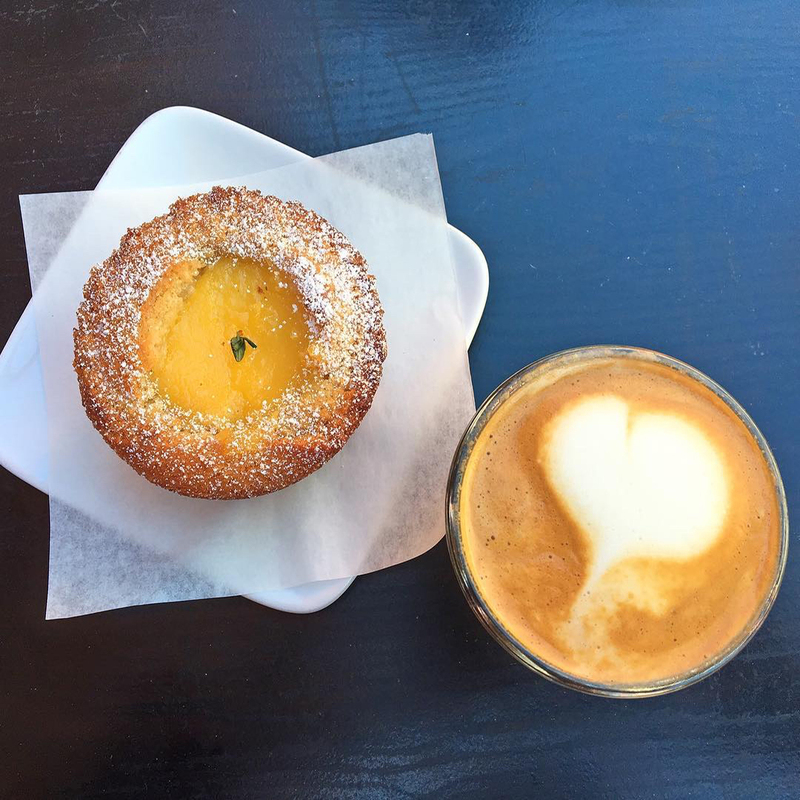 Sycamore Kitchen has the best pastry program going right now. Their salted caramel pecan Babka roll will probably change your life. I can’t emphasize how good that is. Also, try the flourless lemon custard almond cake. KS: I ended up here by accident and it was one of the best brunches I’ve ever had. Their Hamachi Tostada is a mix of Vietnamese and Mexican flavors and it works so well. It’s light and refreshing. 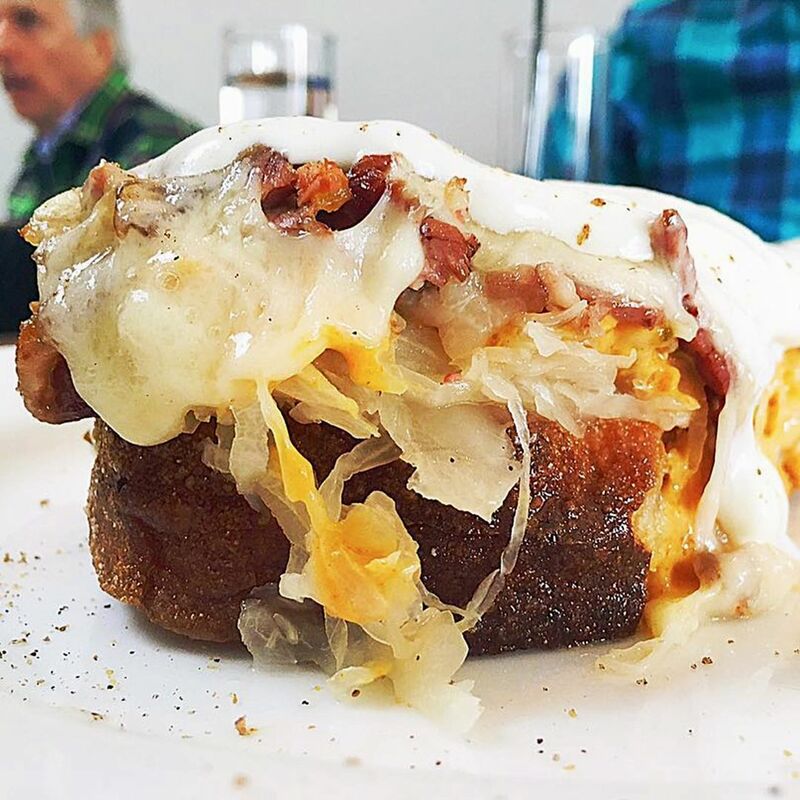 For a carb-loaded hangover killer, the Pastrami Reuben Benedict is just pure indulgence. It’s very heavy but really good. Or the Tamago Scramble, which is basically just eggs and rice but the rice is cooked in bone marrow and it’s amazing. Incredibly good. 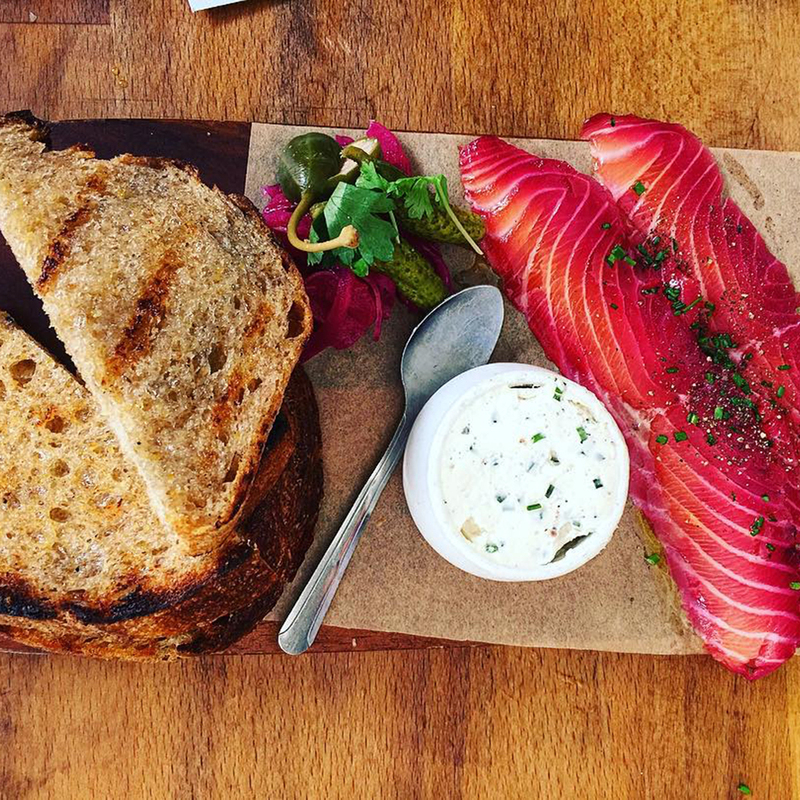 KS: They have a beet-cured salmon plate that is absolute perfection: the salmon is perfectly done, the cream cheese is decadent and the bread is from Bub and Grandma’s and it’s really good bread. Brunch here is not too expensive for a Silver Lake locale and it’s also super pretty for Instagram. KS: I’m a huge fan of dim sum. The dim sum here isn’t cart dim sum, you need to order off the picture menu, but it’s a huge menu. 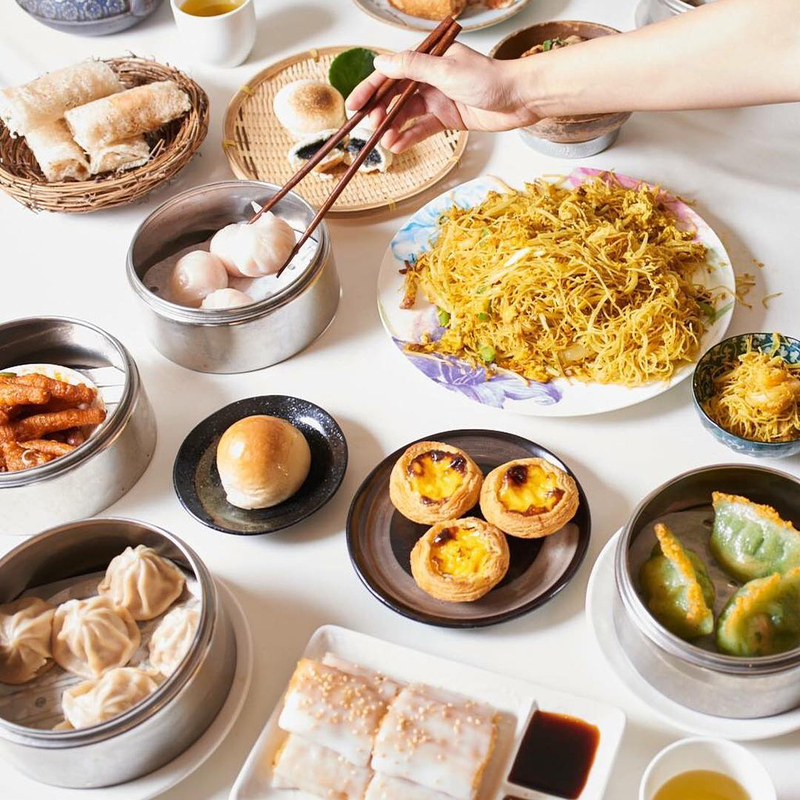 The dim sum is really high quality and the bonus is you could easily get out of there spending only $20. That’s the beauty of the San Gabriel Valley. KS: They have a pretty simple version of an Eggs Benedict but the catch is that it’s on a potato nest and I’m a huge fan of potatoes. 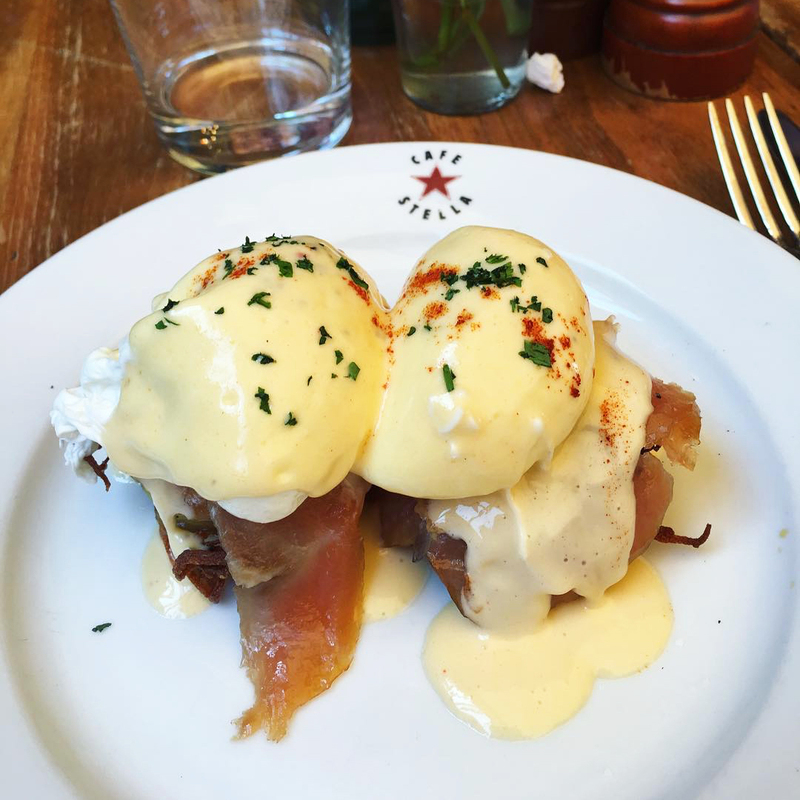 I like to get the Benedict with bacon, though you can also get cured salmon. The setting could not be more charming in the courtyard there. It’s a really pretty spot to start your day. EM: This is more of a coffee shop and they don’t really have tables but you can get it to-go or eat on the bench outside. It’s totally worth it. The chorizo breakfast burrito is stuffed with roast potatoes, chorizo, cheese and egg and the flour tortilla is really crispy. The perfect burrito in my mind! 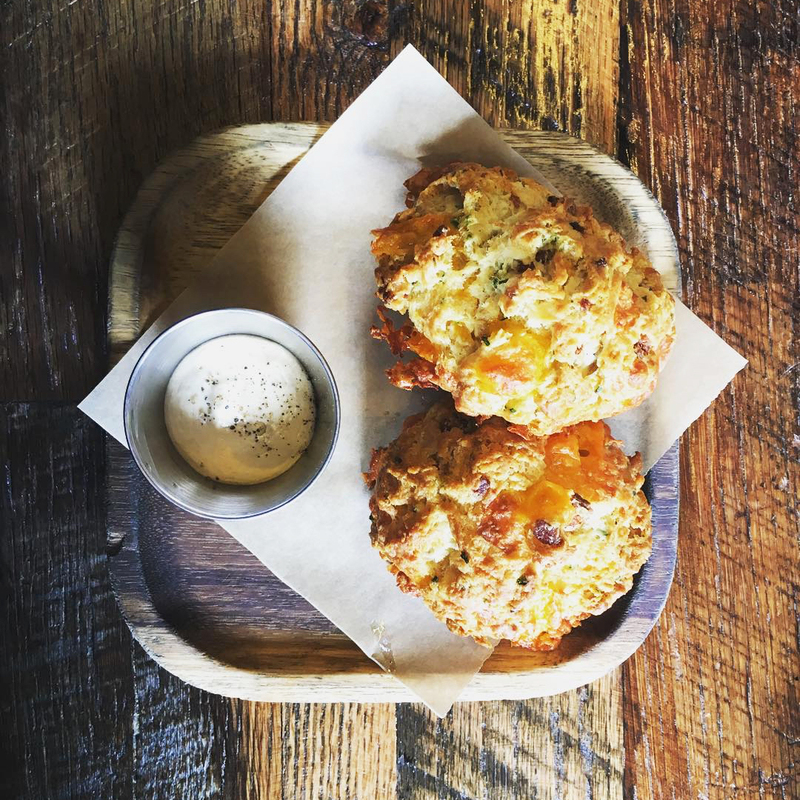 EM: My favorite brunch item in LA is their bacon cheddar buttermilk biscuit with a side of maple butter. 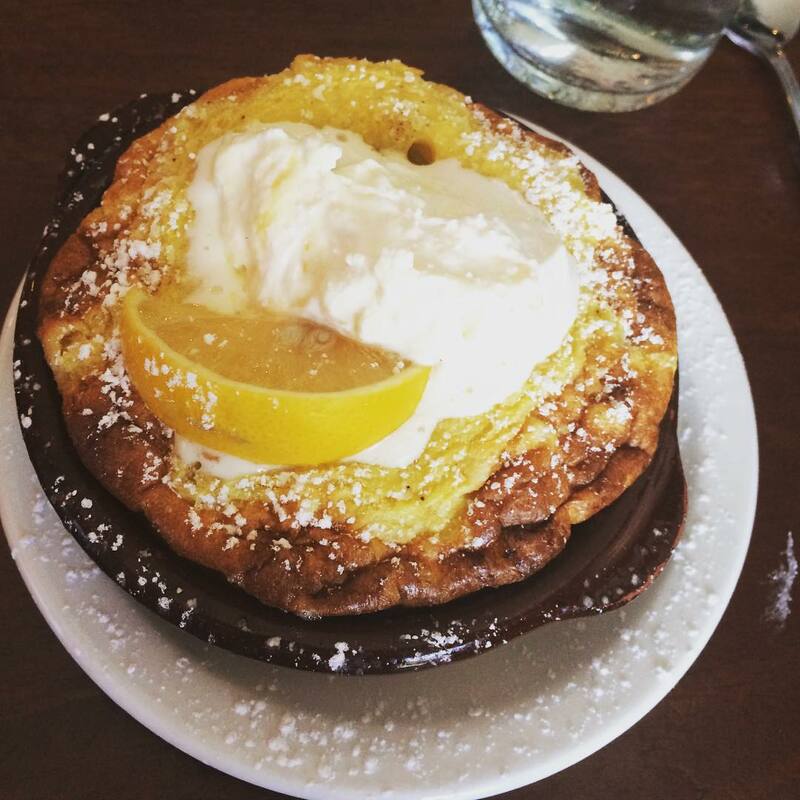 Though the baked pancake, which arrives in a cast iron skillet, is really good. EM: I’ve been coming here forever. I grew up two blocks away and when I used to ditch school with my friends we’d all come here. 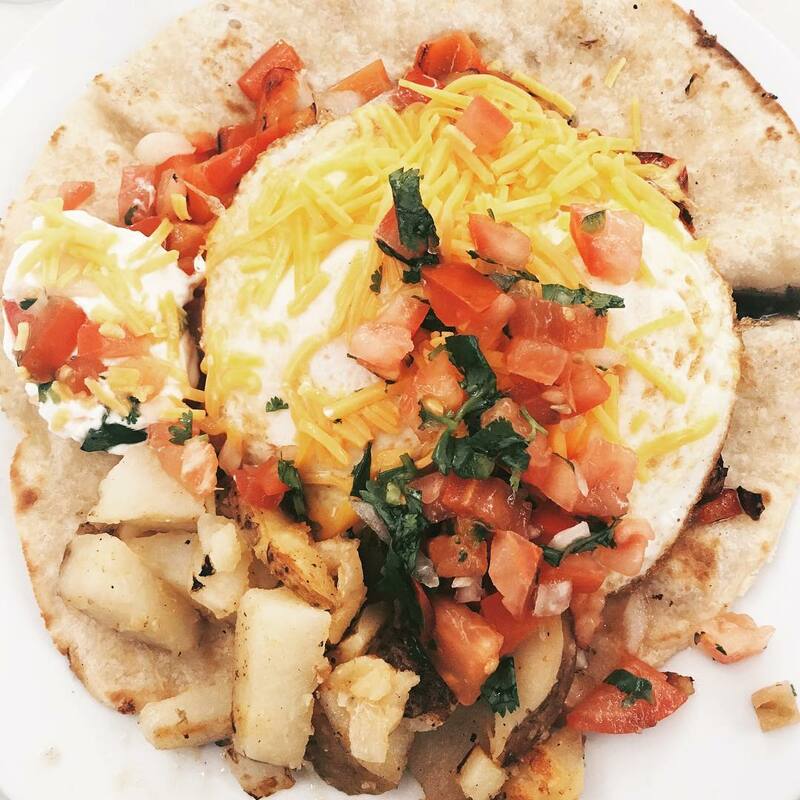 They make the best “white people” version of Huevos Rancheros called Huevos O’Groats. They also make really good pumpkin pancakes that are pretty awesome. Their poached egg bruschetta on La Brea Bakery bread is also divine, topped with garlicky tomatoes, feta, basil and two poached eggs. EM: Canelé also has a baked pancake. I’m really into baked pancakes, as you can tell. The menu is extremely simple but perfectly executed with really nice ingredients. They have this duck hash with sweet potato, pickled red onion and egg that’s awesome. EM: I love pupusas for breakfast, especially when I’m kind of hungover. I get their bean and cheese or the bean, cheese and pork and they put this citrusy coleslaw on the top. Just perfect. To find out what tasty eats they’re devouring now, tune into How It Got in Your Mouth every Wednesday and follow along on Instagram @howitgotinyourmouth. 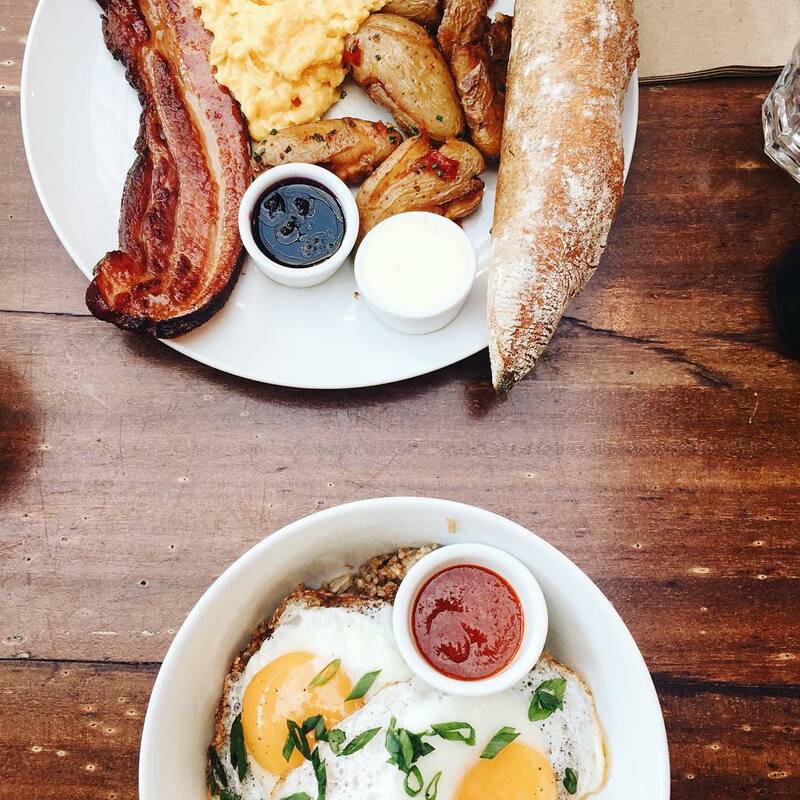 Bustling neighborhood eatery offering hearty, old-fashioned daytime grub in a casual setting. Food truck with an ever-changing menu of unique tacos made with elevated, farm-fresh ingredients. Popular eatery known for spring rolls & bowls of pho serves classic Vietnamese fare in a small room. With a Dodger's theme, this casual coffeehouse serves up Stumptown java plus kombucha on draft. 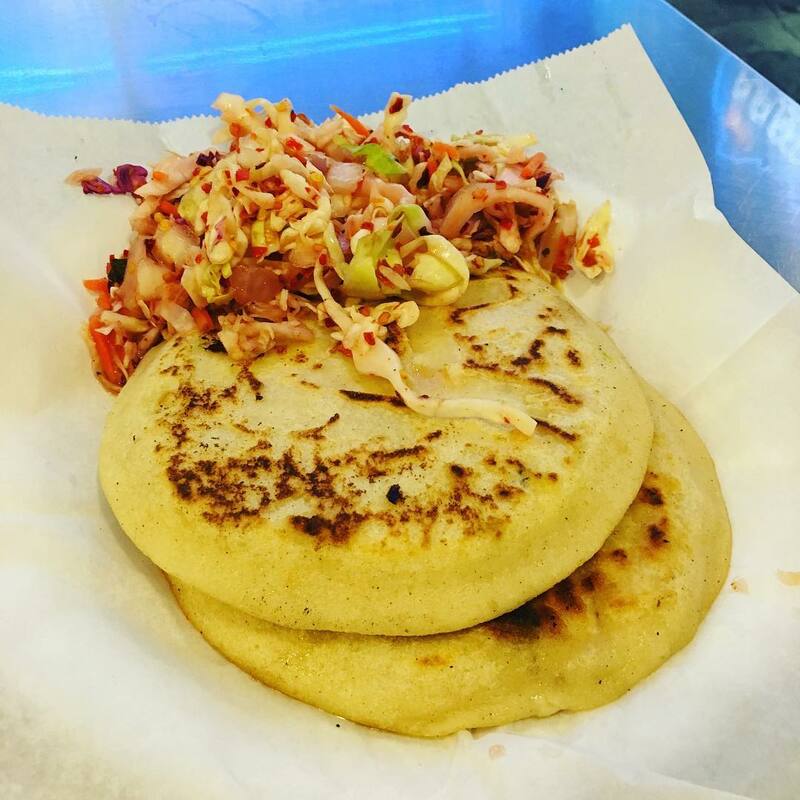 This no-frills mainstay in Grand Central Market doles out handmade pupusas & other Salvadoran fare. This restaurant's moniker comes from a luscious little molded dessert originally from Bordeaux. They shop at local farmer’s markets, seeking food that is direct, simple, comforting, but irresistibly tasty. They’ve built the dining room to be welcoming and unpretentious, and do their best to serve you in that same spirit. A room with pretty floral wallpaper & lots of light, a great patio & American dishes on the menu. Baked goods, quick breakfast or lunch served in a natural-wood interior or on an outdoor patio. A full menu of Vietnamese cooking with a BYOB policy in standard surroundings with late hours.